Finally a delivery service for your baby food on holiday! The high-quality ALNATURA food jars from selected organic raw materials will delight your little ones in Majorca! 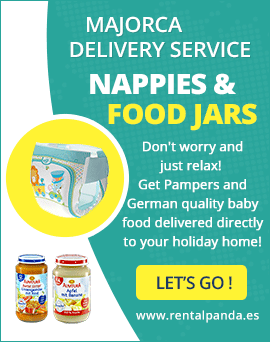 Majorca's most convenient delivery service: Germany’s famous HIPP baby food delivered directly to your holiday home! Only the highest quality ingredients are used according to organic standards, delighting your little ones tastebuds and making meal times a pleasure for everyone! Practice doing a wee-wee and toilet train your little ones while being on Majorca! The well-known and well-tries IKEA potty is brought by us directly to your holiday home. A practical and (almost) indestructible set of covers from Ikea. Consisting of a knife, fork, spoon, plate, bowl, and cup (1 item each), now your children can feast on Majorca without limits! The practical toilet seat attachment from IKEA makes the walk to the toilet to a doddle, and the anti-slip base ensures a secure grip on the toilet seat. Toilet train the easy way! Completely watertight beach bag to protect your technical devices from sand, water and sun. Size: 22x15cm - big enough for all kinds of belongings, smartphones, purses and much more. 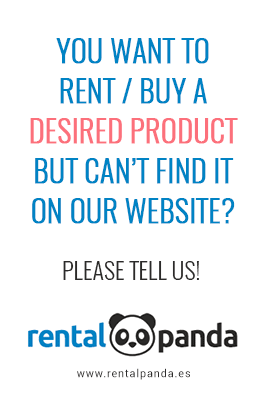 It comes with a practical carrying strap allowing you to carry it anywhere. This 100% waterproof high-quality protective case protects your smartphone from water and sand. Suitable for most common smartphone models; the case can easily be attached to your arm for swimming and taking photos.